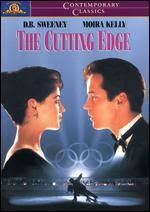 The Cutting Edge – “Toe pick.” My brother claims to like this movie because it’s a hockey film. Just because there’s about 3 minutes of hockey doesn’t change the fact this is a complete chick flick. 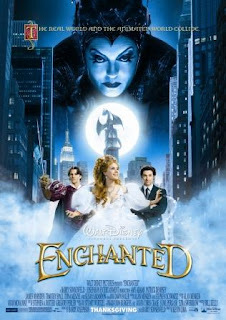 Enchanted – Amy Adams was born for this movie. A Knights Tale – One of Heath Ledger’s most brilliant performances. I could watch the dance scene with Bowie’s Golden Years every hour of every day for the rest of my life. 10 Things I Hate About You – Another Heath Ledger movie with a thrilling musical number by the unfortunately deceased. To my benefit it also contains Julia Stiles (Ol’ Shmoosh Face) grinding down to Biggie Smalls. 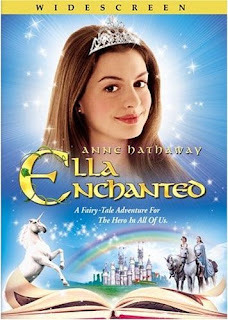 Ella Enchanted – Give me a moment as I reflect on the utter hotness that is Anne Hathaway . . . bo-ing. 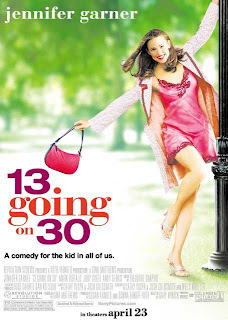 13 Going On 30 – Normally I’m not a Jennifer Garner fan but she nailed this role 10 times better than Tom Hanks did in Big. The Thriller dance scene alone will hook you to watch the entire movie. Heh. Nice list. I might have to do something similar at some point (though I like entirely too many movies that fit this criteria). 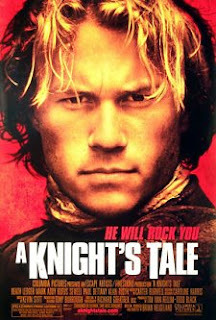 I also share a particular fondness for A Knights Tale (though probably not enough to include on my list of such movies), especially its unabashed and deliberate melding of the contemporary (the music, the dancing, some of the costumes) with the historical (jousting, the Black Prince, elements of the Hundred Years War). 10 Things I Hate About You, however, definitely warrants a spot on my list. It just has a great cast, not just Heath and Shmoosh-Face but the hot blond and Joseph Gordon Leavitt and his nerdy buddy that reminds me of a guy I went to high school with. It's a hell of a lot of fun. Should we feel the need, we can always rationalize our enjoyment of it to snobby types by pointing out how it's an effective contemporary adaptation of a Shakespearean play. Enchanted was a terrible movie...period. I did reluctantly like 10 Things I Hate About You. 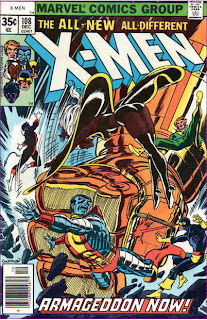 Teebore, would that certain person from high school's name be "Dan"? Oh, dr. bitz . . . Where is your joy? Listen, I've been called emotionless and cold before, but so what if I am? When the robot revolution takes place and you're all taken to an internment camp to be 'deactivated' but they don't take me because they can't tell that I'm human, who will be laughing then? Not me! Because I'll be pretending that I'm a robot!